Hey, my name’s Egert. If you follow the goings-on at the Human Rights Centre, you probably already know me – if not, give that link a click and you will. I will be away from the Centre for three months, and not just for a vacation or a workshop, but as a GLEN in Ghana (so for anything business-related, contact Kari or Liina instead). Here, in my new virtual home, I will post about everything on my mind and around me on my trip to Ghana and during my stay there. There are three parts to this page – the one that you’re reading now, the part where you can read my other blog posts and, if you keep on scrolling, the part about where and why exactly am I going to be for the next three months. I’m sure you’re curious, so scroll on down and read all about it! 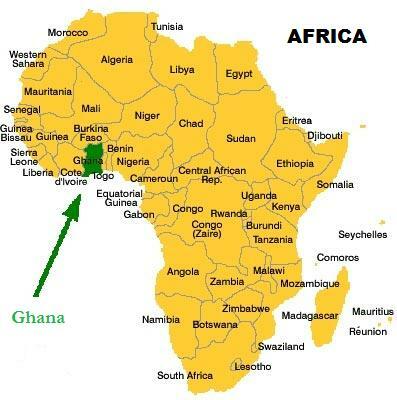 Ghana was the first West-African country to be liberated from England’s colonial power in 1958 and is also known by its nickname the Gold Coast. As the name implies, gold can be found in Ghana and in addition to money and – admittedly rarely – a good life, gold mining entails risks to both health and the environment. For the next three months, my home will be in the town of Prestea, which is a large gold mining area. The town has 35 760 inhabitants, but the mines have done more harm than good, mostly due to pollution. Its population is 20 times bigger than that of Estonia – 22 million people. It’s five times larger than Estonia. Its main exports are gold and cocoa. The average salary in Ghana is 3242 GHS or 620 euros, the minimum wage is equivalent to 67 euros. Living costs in Ghana are 8,7% higher than in Estonia – yes, really. (I’ll let you know if that’s actually true, for the moment I’ll have to rely on what the internet says). In the World Happiness Report, Ghana places at 131, Estonia at 66. In the Human Poverty Index ranking, Ghana places at 50, Estonia at 145. Polygamy is legal in Ghana. Traditional „widow’s duties“ are still honored – for example, it is expected that the widow marries the deceased husband’s brother. The official language in Ghana is English. 23% of people in Ghana have access to and use the internet; in Estonia, it’s 88% of people. I’ll be staying in Ghana as a part of the GLEN project coordinated by AKÜ (Roundtable of Development Cooperation) and ASA. I will be working in an organisation whose mission is to raise awareness about the health problems related to mining. I applied to the project in February and participated in two preparation seminaries in Germany and Czech Republic to get to know my tandem partner (no, I’m not in this alone, I have a partner from Germany) and to refresh my knowledge on the issues of racism and gender inequality. I also experienced the longest bus ride I’ve ever taken in my life (a total of 26 hours!). My motivation came from the interest in sustainable development and the situation of human rights outside of Estonia, from the desire to test myself, from caring, from wanting to participate in development cooperation. The deadline for applications was in February, so the cold weather probably gave me an extra push, too☀️. Because of my work and my interest in human rights, I looked into the situation of human rights in Ghana. Women’s rights – women are discriminated against especially in the aspect of ownership of property, which is not allowed for women. Violence against women is also a huge issue, and that stems largely from the aforementioned ban for women to own property. Children’s rights – use of child labour is widespread, especially in mines, which is obviously very dangerous for children. LGBT rights – sexual relations between two men are punishable as a criminal offence. In addition, people in the LGBT community experience discrimination and violence by the hand of local authorities. Right to healthcare – the situation is dire for disabled people, especially those with mental health issues, since the conditions in the federal treatment facilities leave a lot to be desired. One of the more serious problems are the non-official „prayer camps“, where disabled people are kept in inhumane conditions and basically tortured. The death penalty – even though the last execution was carried out in 1993, people are still sentenced to death and the conditions in prisons meant for inmates on death row are deplorable. That’s a style of music that originated in Ghana and is essentially traditional Ghanaian music mixed with hip hop. It’s especially popular in West Africa, but also in Germany, the US, and Canada. By the way, in 2015, a hiplife duo called Reggie’n’Bollie earned a second place in Britain’s X-Factor show. I believe that now you have about as much information about Ghana as I had before going. In my future posts you can read what is actually going on in Ghana. I will try to post once or twice in two weeks.